This Country Clock is a simple, attractive project that gives you the opportunity to try an antique finishing process. 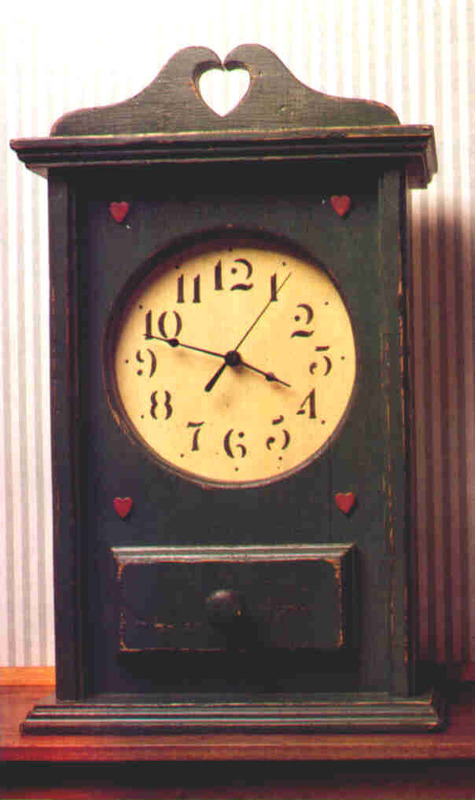 If Country isn't your style, try this mantle clock with a stained or natural finish without the hearts...it's a great looking timepiece no matter what you choose. Plans include a complete numbered and dimensional materials list, parts and assembly diagram, antiquing process, and clock face.